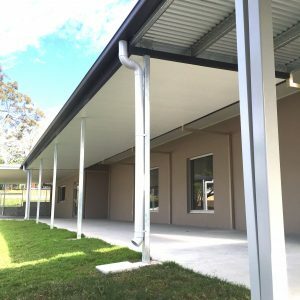 Recently installed at Bethania Lutheran College, these covered walkways and shade awnings were designed by Steel Post & Rail using our proven hot dip galvanised steel columns and framing, with the aim of maintaining a consistent design with the existing built form. 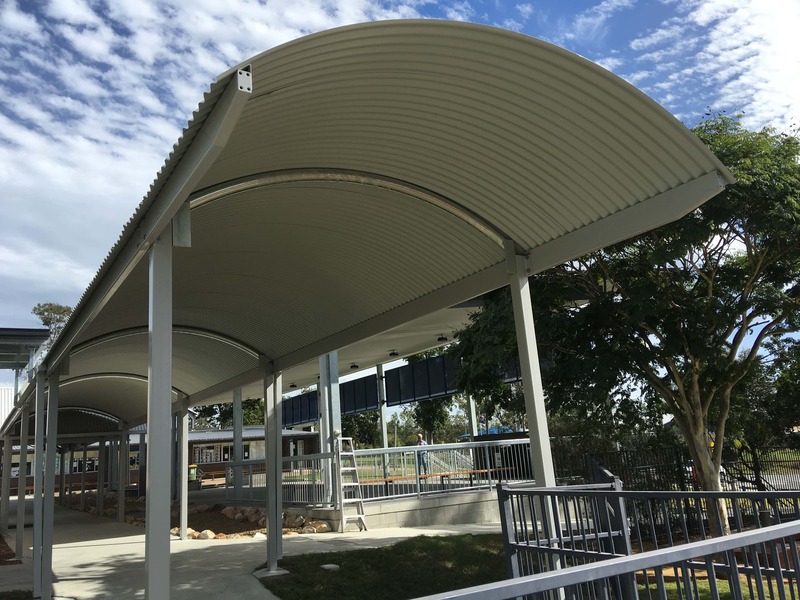 Our shade structures are virtually maintenance free in design, using only heavy duty, long lasting materials and finishes. 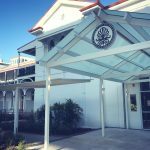 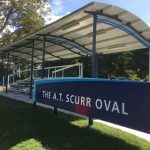 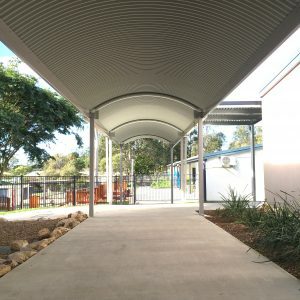 Our curved roof covered walkway uses heavy duty, hot dip galvanised steel framing with a rolled steel roof truss and Colorbond metal roofing, designed to match an existing structure however with the superior strength and longevity of hot dip galvanised steel in place of painted hardwood timber. 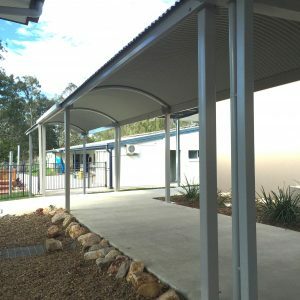 Steel Post & Rails hot dip galvanised steel frame awnings with lined ceiling using hard waring compressed fibre cement sheeting are ideal for creating cool shaded areas adjacent to school buildings for more effective use of school space. 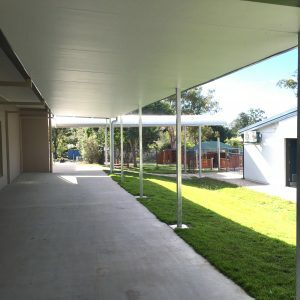 This newly shaded concrete slab can be transformed into an outdoor learning area or lunch area with Steel Post & Rails school bench seating available in custom designs, lengths and colours; all manufactured here in Australia using high quality Australian steel, hot dip galvanised and powder coated to any colour of your choice. 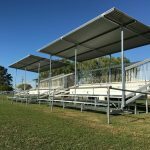 Our services offer customised designs which are developed through close consultation with our customers to ensure attention to detail when designing for specific sites and requirements. 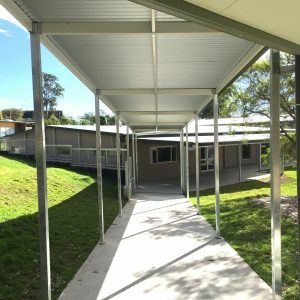 All structures are supplied with Form15 and Form16 engineering certification. 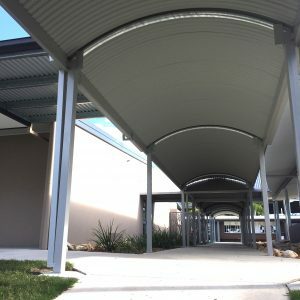 I like your design it is very consistent and ideally plan.